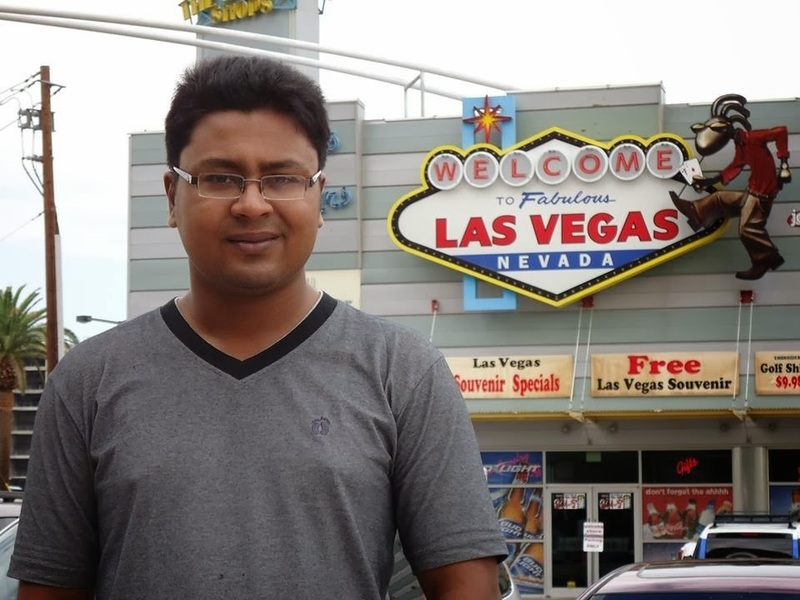 Hey friends, today we have Himadri with us with his blogging journey. He is one of the most popular techie blogger running TechnTechie.com … Don’t miss his exclusive interview. Please give us a recognized introduction of yourself and your blog? Hi, I am an Engineer by profession and blogger by passion. I have completed my M. Sc. in Wireless Communication and planning to go for further higher studies. My blog is related to technology and technology related tips and tricks. I just try to solve and explain the simple tech related problems which I face everyday life. I hope some tips of my blog help common internet users to solve their problems. If a single person gets advantage from my blog on a single day, I will be satisfied. When I started blogging it was only about passion but right now I also think about some extra income from my blog. Are you a full time blogger or a part time blogger? I am neither a full time blogger nor a part time blogger. I am a passionate blogger. When I feel good I work all day for my blog but when I have other priority, I am forced to do those activities. What would you do apart from blogging? Tell us your daily routine. I do research and study in Wireless Communication apart from blogging. I love to play cricket and enjoy eating different kinds of sub-continental foods. Yes, I have a strict daily routine. I get up, eat breakfast, sit in front of my notebook, eat lunch again sit in front of my notebook and then eat dinner and then go to bed. What process do you use to edit your work and to ensure if it is free from grammatical errors or not? Any tips for bloggers? From my own knowledge, I try to correct grammatical errors. But I know that I am not always 100% correct. As my native language is not English, this is natural that there may be some errors. My tips for bloggers is that the main important thing is that you are sharing unique and useful content. 1% grammatical error is accepted in blogging. Blog from your own interest and do not take those grammatical errors too seriously, then it may happen that one day you will stop writing. Who are your blogging role models? I do not have any specific name in my mind but Michael Arrington inspires me a lot. Actually I try to read a lot of blogs in my spare time and if I get interested about any article then I try to find out the name of the author. On that time, that author becomes my role model. What is the value of SEO and SMO in your blogging journey and which tactic is your favourite one? How social media impact blogging? I believe in natural SEO and SMO. I do not spend any extra time for SEO and SMO. When I write, I try to write through my natural way and I believe that Google believes that natural SEO and SMO. Without social media you cannot become one popular blogger and now a days from my thinking, signals from social media are the most important things that Google counts. Blogging is always a good option to switch from a full time job. But believe me people does not make money only from blogging. They have other online business which they run through blogging. So, the wise decision is to take blogging as a full time job after learning about all the other sources of money. Please share the tips on Safe Blogging. How one can keep his blog safe from frequent unexpected Google Updates. ? Just post your article naturally, share those as much as you can in social media, create good backlinking through guest posting, interlink your articles and update your blog everyday. My first earning from blogging is from Google Adsense. It took one year to get my first check. Not joking, serious! What is the average traffic of your blog these days and what are your future plans? My traffic varies from day to day. If I work more on my blog then I can get upto 1000 unique visitors per day. My future plan is to start another blog on some other topic and I am searching for that topic right now. I will also emphasis on affiliate marketing. I do not use any extra tool rather than MS paint, MS Word and online plagiarism checker. These three tools are enough for me because with these tools I can create images, write my article and also can check the uniqueness of the article. Bloggers can read a lot of popular blogs everyday. Each and every blog has some information for you. So, the best way to know about more blog is StumbleUpon and you will be able to visit some awesome blogs. Believe in yourself, try to write unique contents and have patience within yourself. Nobody became rich in the field of blogging within two days. I always answer a lot of question to newbie bloggers through my email address which is available in my about page. I am always available for new bloggers who what to know something from me or need any help. Email is the best way to get in touch with me. My email address, TechnTechie Facebook fan page, YouTube channel are the best places where we can have interactions. Great interview. Wish you both great success ahead in your chosen fields. I am glad you got some inspiration 🙂 and many thanks for your kind words. nice interview with nice person.